Author: Jason Packenham, Associate, ASPECT Studios. *Article originally published on The Fifth Estate. As the world’s list of cities undergoing a cycling revolution continues to grow, you wonder when Sydney will finally reach a tipping point and take cycling as a mode of transport seriously, writes landscape architect Jason Packenham. Cycling for transport has been shown to have so many societal benefits that governments around the world are rolling out bike lanes faster than motorists can say “sorry mate, I didn’t see you”. Not so long ago, it seemed like we were heading in the right direction. In 2010, the Australian Bicycle Council published its Australian National Cycling Strategy 2011-2016, on the back of recent and ongoing growth in cycling participation. At the time, it made sense for the strategy to set a goal of doubling the number of people cycling in Australia. But since then, things have changed, and we’ve fallen woefully short of that target. So short, in fact, that we’ve gone backwards. The most recent National Cycling Participation Survey (2017) shows that participation has decreased across the country since 2011. It’s reasonable to suggest that at this rate, Sydney’s own cycling revolution is a while away, despite the fact that we’re already well-aware of the latent demand for cycling as a form of transport. 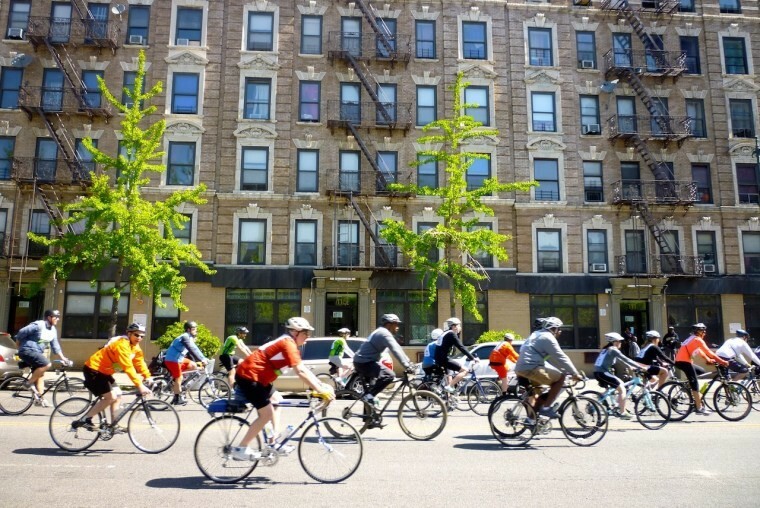 A national survey of the 50 largest US metropolitan areas found that about 50 per cent of people are interested in cycling for transport, but are concerned by a lack of high quality, safe, and convenient infrastructure. These findings have largely been confirmed by multiple levels of government in Australia, and yet our efforts to provide safe and convenient cycling infrastructure is dismal when such a large portion of our population clearly wants it. The NSW government’s Road Safety Plan 2021 highlights how short we fall in providing adequate facilities for those who are brave enough to cycle our streets, with pedestrians and cyclists both disproportionately represented in road trauma statistics. The plan also confirms just how many Sydneysiders are interested in cycling as a mode of transport, with bicycle paths, separated bicycle lanes, and slowing traffic in areas where cyclists are prevalent, all receiving significant support during the NSW government’s own community consultation and survey. And it’s no wonder our community want those facilities. A recent report, from the Australian Automobile Association no less, shows that over the 12 months prior to the report cyclists deaths jumped a staggering 80 per cent. And while the NSW government now aims to achieve Vision Zero – that’s zero trauma on NSW’s transport network by 2056 – serious injuries per year haven’t declined in the last decade. Sydney, just like any other city, will always have a group of “anti-cyclists”, but our government’s own evidence shows that these people are a minority, albeit a loud one. When you take the emotion out of what is often a heated debate around cycling, particularly in dense urban areas, the pro-cycling argument begins to sound like a good one. Consider the traditional cost-benefit analysis that governments undertake when reviewing investment in transport infrastructure. 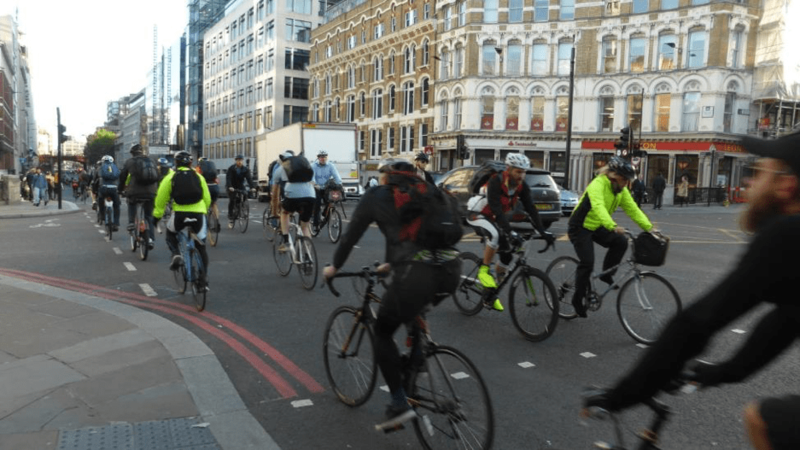 When it comes to positive returns – that is, benefits that outweigh costs – nothing beats cycling infrastructure, which brings with it a huge windfall in economic, social, and environmental benefits for all of society, including motorists. Research from the Queensland government shows that the state’s economy could expect almost $5 of economic benefit for every one dollar invested in cycling infrastructure. That’s a return on investment for transport infrastructure that easily beats anything else, including public transport. And one of our peak national infrastructure planning and investment advisories, Infrastructure Australia, recognises this. In its Infrastructure Priority List from back in February 2016, Infrastructure Australia included active transport access to the Sydney CBD as a High Priority Initiative. Two and half years later, the same initiative remains on the most recent update to that list (November 2018), as a Priority Initiative with a near-term delivery timescale of 0-5 years. Yet, NSW’s yearly budgets continue to ignore requests from the community and professionals alike for more bicycle infrastructure. It’s time for the state government to action those recommendations and commit to a metropolitan-scale investment in cycling that can truly change the way Sydney moves. As is often the case in Australia when it comes to infrastructure, we have the benefit of others showing us how it’s done. In 2014, the UK’s Department for Transport found that every $1 of public money invested in cycling infrastructure provided $5.50 worth of benefits to society. So, naturally, London began investing heavily in cycling infrastructure, most famously in their bicycle superhighways. These superhighways are dedicated, protected bicycle paths on some of London’s busiest streets. They’ve been so successful that London’s mayor, Sadiq Khan, is pushing ahead with continued expansion of their cycle network as a key measure in fighting the city’s air pollution and congestion problems, as well as creating healthy and liveable streets and working towards their own Vision Zero strategy. Recent research out of Transport for London also shows that travellers not in cars – that’s walking, cycling, and public transport users – spend 40 per cent more within the local economy, because “adapting our streets to enable more people to walk and cycle makes them cleaner, healthier and more welcoming, which encourages more people to shop locally” says Will Norman, London’s walking and cycling commissioner. And yes, they’ve got a commissioner just for that. Khan is promising Londoners over $300 million a year in cycle infrastructure over the next five years. If Sydney was to mirror an investment like that, we’d see our urban lives change dramatically for the better, but instead we continue to ignore the evidence and refuse to consider cycling for transport as an important part of our urban future. 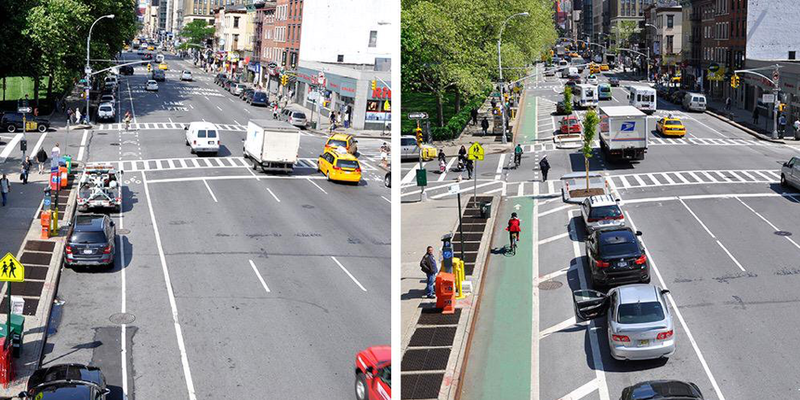 In New York City, during her time as commissioner of the NYC Department of Transportation from 2007 to 2013, the now well-known Janette Sadik-Khan transformed cycling in NYC with cheap, quickly-installed bike lanes. Since then, cycling has become an important part of NYC’s transpotation network, more than doubling in little more than a decade and outpacing population and employment growth in that time. 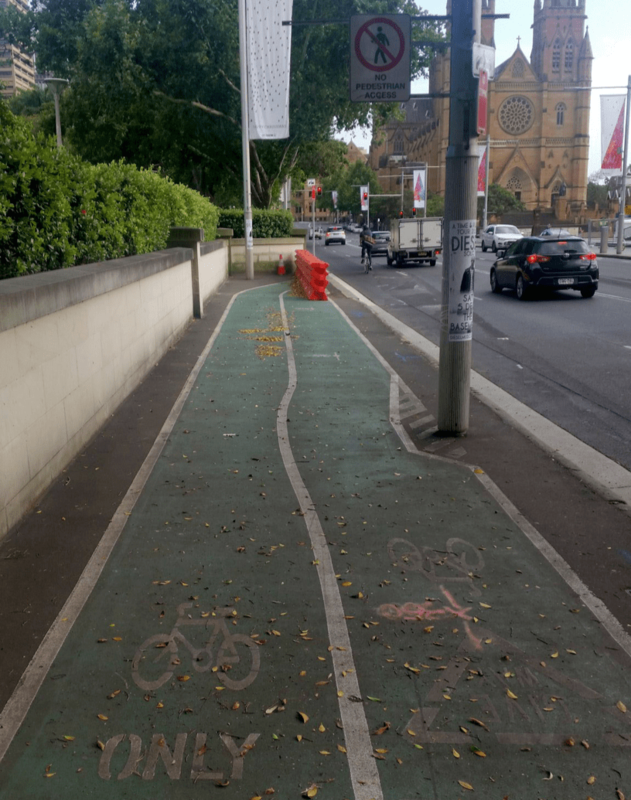 The 2015 closure of the popular College Street cycleway highlights the NSW government’s attitudes to cycling for transport. Back in Sydney, a key factor in our battle with congestion is the number of short or local trips taken by car. Government investment in bicycle infrastructure would remove a significant number of these trips from our roads, freeing up road space for those that need it, like tradies and delivery drivers. We can also get people of all ages moving again, addressing the growing public health issues that our communities continue to battle. Walking and cycling can contribute to minimising risks of cardiovascular disease, type 2 diabetes, some cancers, and osteoporosis. It can also assist with managing obesity, high blood pressure, and high cholesterol. Mental health benefits have also been identified, as physical activity can improve self-esteem and confidence, and reduce stress, anxiety, fatigue, and depression. While the beginnings of a regional bicycle network are taking shape within NSW government planning circles, we need more. A lot more. And quickly. We need to increase transport choice at a time when Sydney’s population continues to surge upwards. We’ll do that by delivering bicycle infrastructure across the regional metropolitan area and in every neighbourhood within it. We can be quick and efficient in how we deliver it and can use trial periods to test options and outcomes within the local community. We’ve got a growing list of issues that cycling has been shown to help solve, and now, all the evidence and community support we need to make that happen.